A stunning 9ct yellow gold panther chain. A stylish accessory for the woman of your dreams. 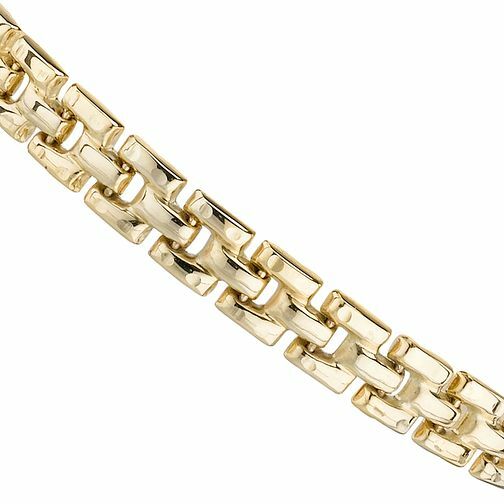 9ct Yellow Gold 7.25" Panther Chain is rated 4.7 out of 5 by 3. Rated 5 out of 5 by Anonymous from Beautiful bracelet A very classy and cool bracelet. Excellent for evening or daytime. Rated 5 out of 5 by Anonymous from Mum loves it My dad is unwell so unable to go out and buy my Mum a bracelet For Christmas. We looked at a few sites but this bracelet was the best looking. When my mum opened the case on Christmas Day she loved it! Delivery was fast too.